Tomorrow afternoon at 5.00 pm the farewell Kleenex-themed event at the Ministry Centre. I’ve no idea what’s planned, which is just as well. Then this Sunday, my final service as vicar of Christ Church followed by a hotpot meal with (a very short, I hope) presentation in the Ministry Centre. I’m not sure I’m looking forward to all this. My instinct, I think, is simply to turn off the lights and quietly leave through the back door. In fact, one church member recently told me that when she was teaching at a local school, special celebrations were planned to mark the retirement of their head teacher. These were to take place during his final afternoon. However, during lunchtime he just disappeared, never to reappear. So they just left all his leaving presents on his doorstep! There again, I was talking to a school friend who recounted his final day at work in central London before his retirement. Every day for years he had commuted from Bedford. But for his final journey home, no one noticed; no one marked the occasion. Just a station announcement and a round of applause from his commuting colleagues would have been sufficient. But he simply arrived at platform 4 and walked home, just like everyone else. As human beings we do need to mark special occasions, especially at key lifetime moments, both for ourselves and for those who share our lives. In fact, much of my ministry is concerned with these rite of passage events – especially at birth, marriage and death. Traditionally these have been the church’s preserve – but no longer. Firstly, the church has lost its monopoly in today’s marketplace – which is no bad thing. Nowadays you can have a lovely wedding in a beautiful location of your choice rather than just go down to the Registry Office at Brougham Terrace. Similarly the facilities offered by the new privately-run crematorium and cemetery at Burscough are excellent. And increasingly families are choosing to have an humanist service. The church is bypassed altogether at this important moment. But there’s nothing like competition to spur us into action and for us to market what we do well. And the Diocese is onto this. However, at the same time society today does not do rites of passage, at least as we used to. So there is no obvious way of acknowledging the arrival of a baby into the world, a new member of the family. Baptisms used to do the job but only by distorting the meaning of this sacrament. While naming ceremonies, as far as I am aware, have never taken off. Maybe a meal out with the family along with a baby shower. But’s that about it. Not very meaningful. While increasingly couples choose to live together without any fuss and without ceremony, literally. Someone I know very well was deeply hurt when her son moved out to live with his girlfriend. And that was it. One day he was living at home; the next day he wasn’t. They did have a hotel wedding some years later but that didn’t press the same buttons. Of course, the Bible is full of rites of passage. You feel sometimes in the Hebrew scriptures, any excuse for a party to which everyone is invited. And more, a party in which God is honoured at a lifetime moment. 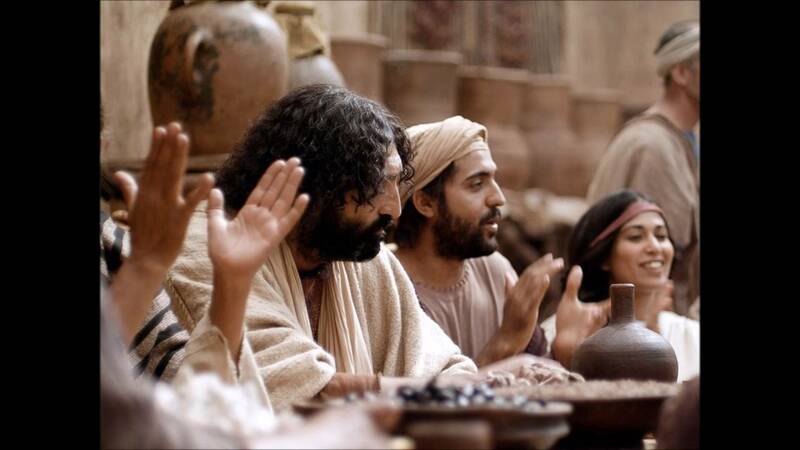 So Jesus turns up at the wedding in Cana, along with his disciples. And this was not just for a couple of hours one afternoon. The festivities went on for at least five days, especially with the special boost of an unexpected gift of quality wine. Moreover I assume the happy couple didn’t send out wedding invitations to their friends and families in two categories, afternoon and evening. No, this wedding celebration seems to have been an event for everyone in the village and more. The communal dimension was essential. But this is what we are good at as a parish church. Marking key moment together with everyone invited. And this is why my heart is in the parish ministry. We live in a society in which loneliness is becoming an increasing problem. And it some ways the strength of a community is shown by how you relate to those people you hardly know or are in a different category to yours. 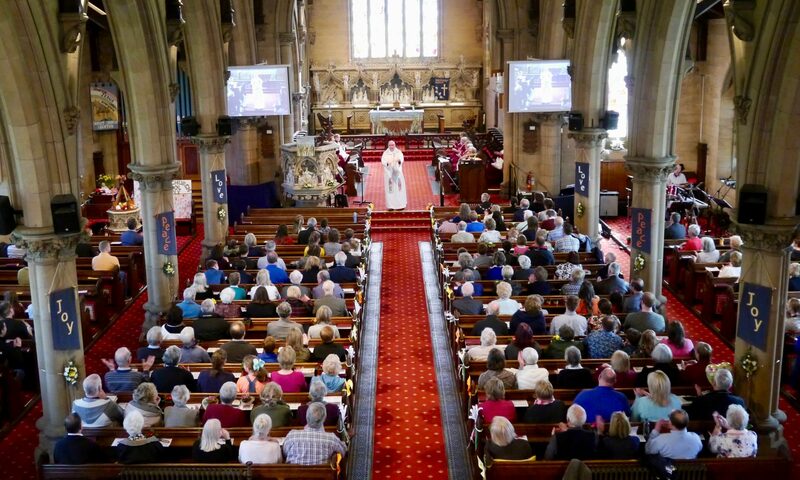 And my responsibility as a vicar is primarily to the congregation as a whole as we reach out to share Jesus in our parish and beyond. Of course, ministry towards individuals is essential but as such incomplete. The corporate dimension is absolutely essential. That’s where my blog ends but just to say that I have four more blogs left as vicar until I retire on 8 May. Then I aim to continue to blog on my personal website which predates the blog on the church website by some years. Just go to www.moughtin.com and follow the link to the Friday blog. Next PostNext For our relationships to flourish, we need our routines.